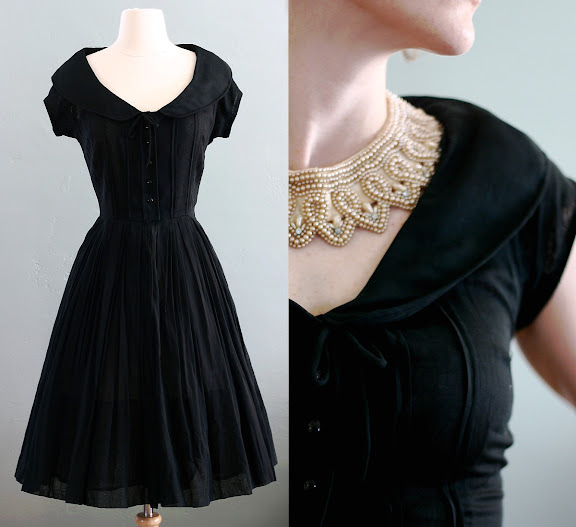 I'm always amazed with the amount of great vintage clothing out there. Flour Clothing (run by a friend who is one of our previous clients) has some lovely dresses currently in stock, like these two above. Isn't that rainbow dress amazing? That rainbow dress is so so wonderful!!! These are both awesome! I think the black one is adorable as well. 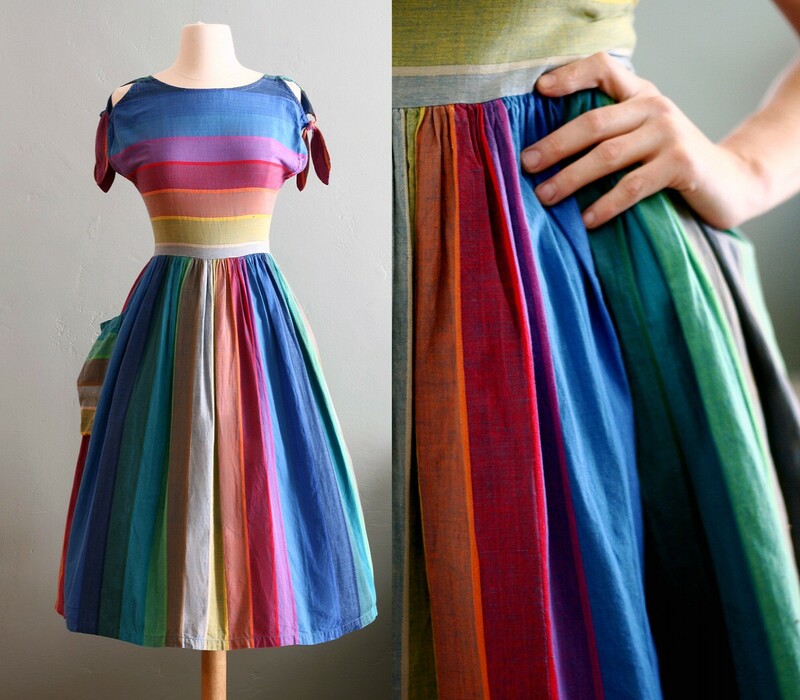 Wow, amazing stuff but I got my rainbow vintage dress for under $50 - now that is amazing! How tiny are those waists?! I'll take the little black dress in a size 14, thanks! Gotta get someone crafty to make it for me. Beautiful!!! They're both great, I love the neckline on the black one. I've discovered yesterday and am quite delighted with the small "wedding market" in the network.